TWS Is THRILLED to NOW offer full-service bridal styling to BRIDES IN SOUTHERN CALIFORNIA and Across the United states. The joys of planning a wedding come along with their fair share of challenges. 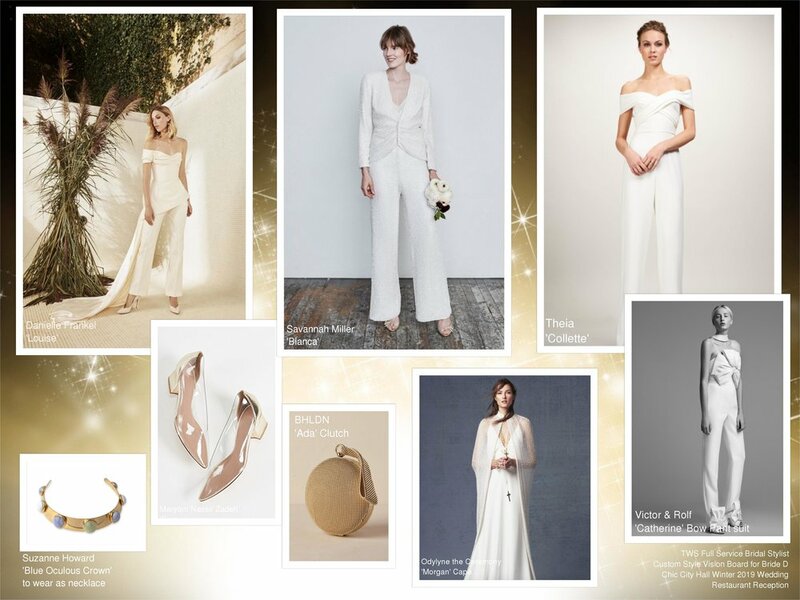 Navigating all of the options, timelines, and details of the wedding outfit selection process can be overwhelming to manage while you continue to juggle your day-to-day life and commitments. A relationship with a personal bridal stylist will ease the onus, allowing for more enjoyment in the lead up to the wedding, and comfort on the day of, knowing every detail of your wedding dress look has been thoughtfully considered and perfected. Even better is knowing you are in the hands of a true wedding dress expert-- enter, Nayantara- founder and head seamstress of The Williamsburg Seamster, and her team of expert seamstresses and stylists that make up the TWS Full-Service Bridal Styling offerings. With a BA in Fashion Design, and over a decade of experience fitting, altering, and styling the wedding dresses of over 1,000 brides in New York and Los Angeles, Nayantara has a wealth of knowledge when it comes to understanding and designing the best approach for your wedding outfit needs. She will help you articulate what you are dreaming of, develop the language to express it, create an easy to follow vision guide, direct you to the brands and bridal shops that best match your needs, and even attend appointments with you, choosing specific dresses and accessories to try on. On top of guidance and assistance in where to look and what to look for, depending on your budget, venue, and style needs, the TWS team has an intimate comprehension of the construction and fabrication of dresses by many leading and independent bridal brands and boutiques, providing personal bridal styling support like no other. This, along with the deep understanding of the fitting and alterations process, and detailed approach to troubleshooting for a variety of factors (aesthetic cohesion, venue terrain and surfaces, undergarments, mobility, modesty, future garment repurposing, ambitious dance moves), will ensure your comfort and confidence on your wedding day, leaving you free to feel fully present and relaxed throughout this exciting time. Head to CONTACT to find out more.